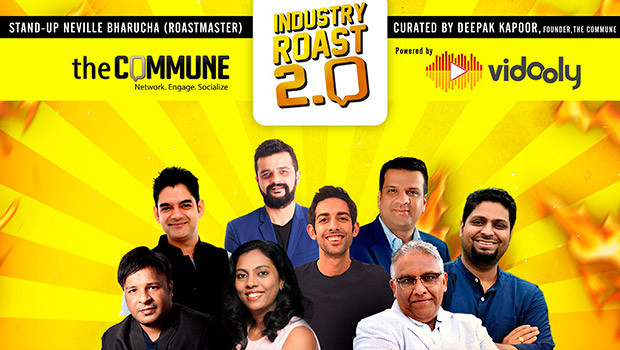 The Commune, a forum for advertising, media, PR and marketing communications professionals, is bringing up the second edition of its much popular and loved Industry Roast. Industry Roast 2.0, powered by Vidooly, an online video analytics suite, is now bigger, better & fiery. The roast is going to be held on February 8, Friday from 7.30pm to 9.00pm in Mumbai at Café Zoe, Lower Parel. This roast promisesl be Clean, Fun yet Brutally Honest where leaders will roast each other's professions (not each other). Industry heavyweights such as Bobby Pawar (Chairman & CCO, Havas Group India), Prathyusha Agarwal (CMO, Zee Entertainment Enterprises Limited), Amaresh Godbole (CEO, Digitas India), Girish Huria (President, Ketchum Sampark), Mayank Shekhar (Entertainment Editor, Mid-Day) and Chetan Muley from Media Planning & Buying are donning the hats of roasters in this edition. This season will see standup comic Neville Bharucha as their roast master. It was a great start to 2019 for WordsWork as they completed 10 successful years this month in the PR Industry. Over the years WordsWork has built a niche for itself as a specialized boutique agency working with select sectors including lifestyle, luxury and sports. They have also rebranded the firm to mark the occasion as a milestone towards achieving higher growth and international presence. They have offices in Delhi, Mumbai and Bengaluru and plan to invest in the digital space this year onwards. 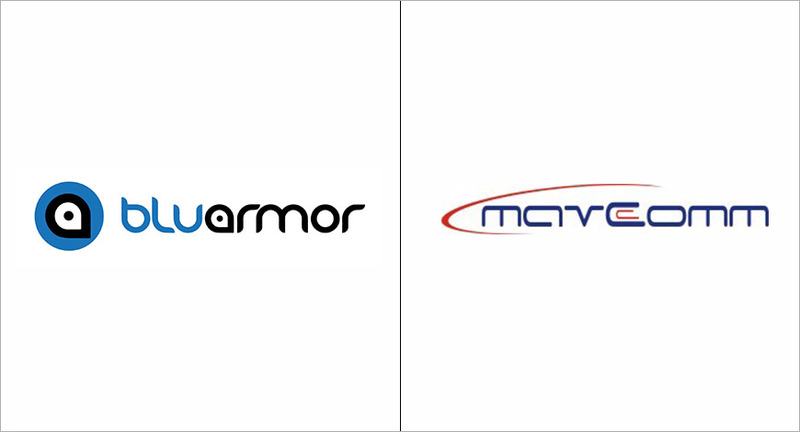 Their current clients include Borosil, Baume et Mercier, Laureus and Hockey India among others. Surviving and flourishing in the industry for over a decade being a niche player has been a challenging journey but the company has thrived on good long term partnerships and support from across the industry. Edelman's relationship with Huawei has ended before it started, the Holmes Report can reveal, with the agency bowing out before it was contracted as one of the Chinese tech giant's key corporate PR agencies. 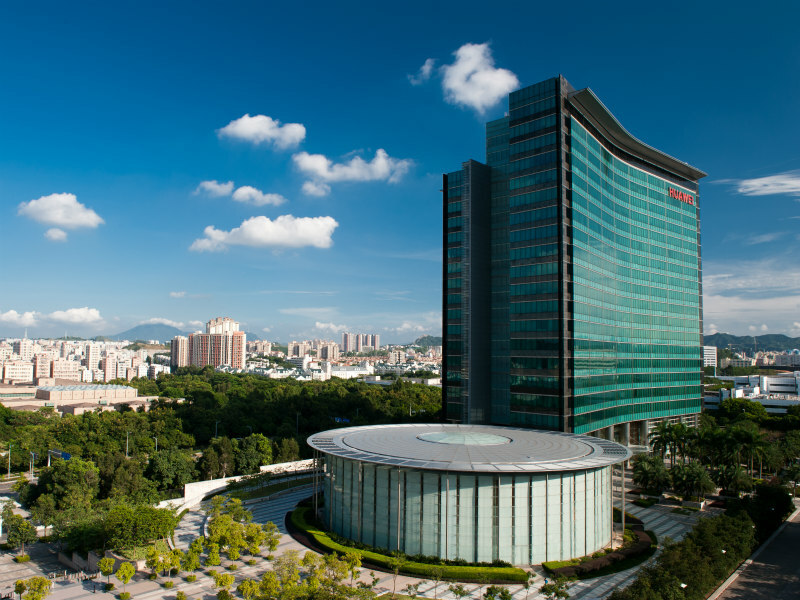 The remarkable turn of events follows Edelman's selection, along with BCW, to handle Huawei's corporate PR remit after a lengthy competitive pitch process. That decision, confirmed by both Huawei international media affairs VP Joe Kelly and Edelman Hong Kong MD Adrian Warr, saw Edelman entrusted with lead duties on strategic planning, influencer marketing, media engagement and market insight for the company's PACD unit, which oversees its global corporate reputation from Shenzhen. Netflix India has roped in Arushi Maheshwari, former Senior Manager, PR and Corporate Communication at BookMyShow, as part of its corporate communications team. Maheswari had been associated with BookMyShow for almost three years. Prior to joining BookMyShow in 2016, Maheswari was part of the corporate communications team at Aircel where she spent close to four years managing communication and public relations for the company. Maheshwari is an alumnus of the Indian Institute of Mass Communication, New Delhi, and holds Master’s in Mass Communication from Guru Jambeshwar University. Netflix has witnessed phenomenal growth in India, which is fast becoming a lucrative hub for the streaming giant. Last year, Netflix released three titles catering to the Indian audience— horror miniseries ‘Ghoul’, crime drama ‘Sacred Games’ and ‘Lust Stories’, a short film series. 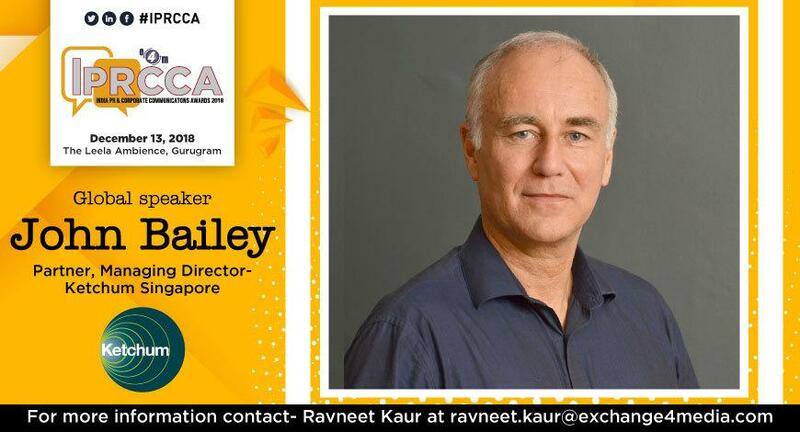 John Bailey, Managing Director & Partner, Ketchum Singapore, delivered the keynote address at the ninth edition of exchange4media's India PR & Corporate Communications Conference (IPRCCC) 2018 held in Gurugram on Thursday. Addressing the PR & corporate communications fraternity, Bailey spoke about the challenge of being “always on” in the current digital age to manage and protect the reputation of brands and personalities. He started the session talking about building and descending reputation. He said that this era is the “most challenging” in years for the PR industry, and social media plays a vital role in it. 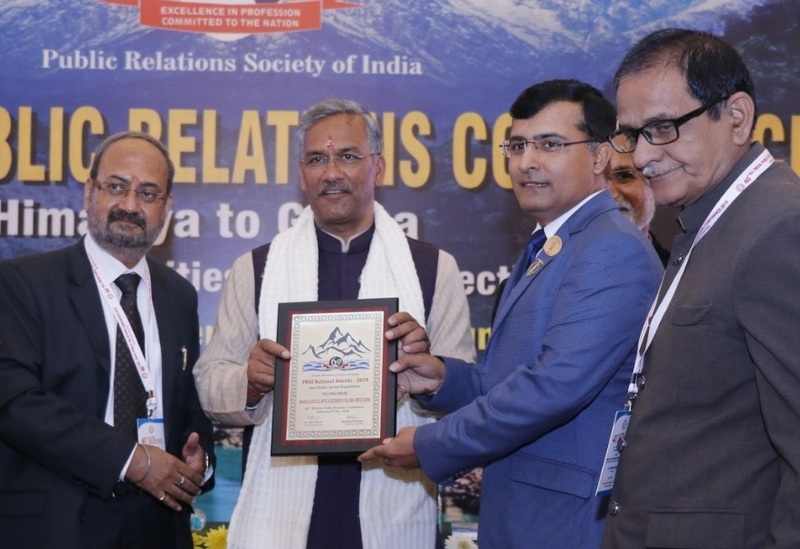 Shri Trivendra Singh Rawat, Chief Minister of Uttrakhand gave away the awards to Shri Vinayak D Jamwal Deputy Manager (Public Relations) at the inaugural session of 40th All India Public Relations Conference in Dehradun on Saturday evening. MCL, a leading coal producer in the country which had taken several initiatives for socio-economic development in Odisha, was also adjudged the Best Public Sector Organisation and presented with a Silver Plaque. A corporate film titled 'A Growing Coal Giant!' which was produced in-house by the Department of Public Relations of the company was adjudged for Bronze prize incorporate film (Hindi) category. 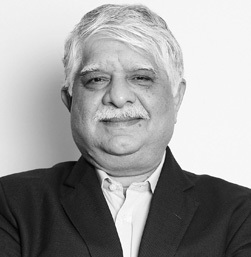 The PR Trust has appointed Madan Bahal, Managing Director and Co-Founder of AdFactors PR, India’s largest and most awarded public relations firm, to its Global Board of Governors. The PR Trust provides young professionals with development opportunities through mentorships and education outreach programs that emphasise the role of communications in civil society. 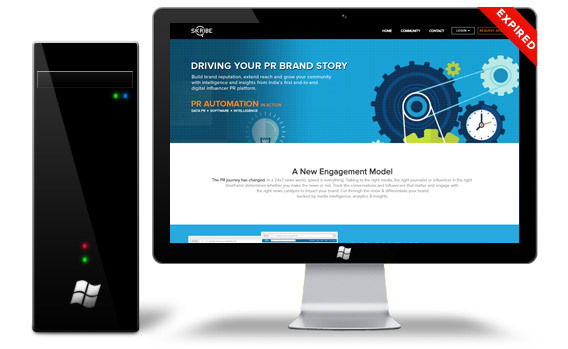 Adfactors PR is the youngest and the only independent firm in its peer group in India. In 2016, Adfactors PR won all five Agency of the Year awards for India.